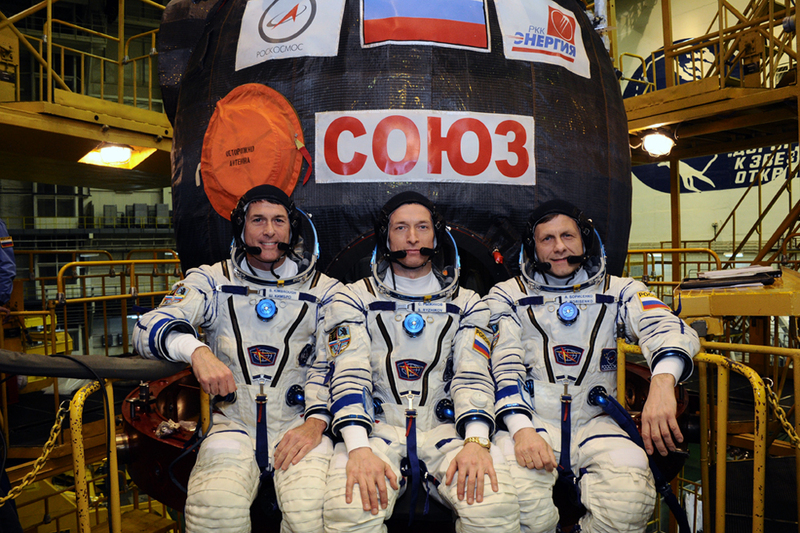 The next crew to fly to the International Space Station had a busy day on Friday, visiting their Soyuz spacecraft for the first time and climbing into their seats in the confined space of the vehicle and checking their Launch and Entry Suits. 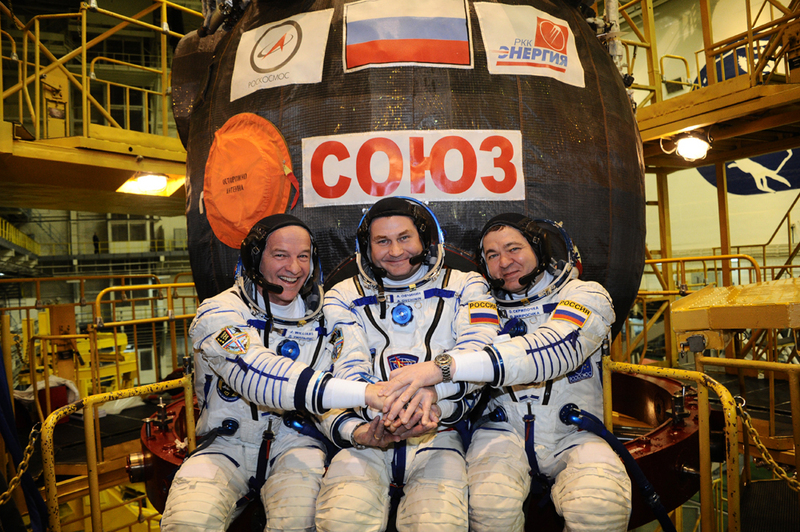 Soyuz TMA-20M continues to work towards a March 18 liftoff for a fast link-up with ISS to top up the Expedition 47 crew at six. 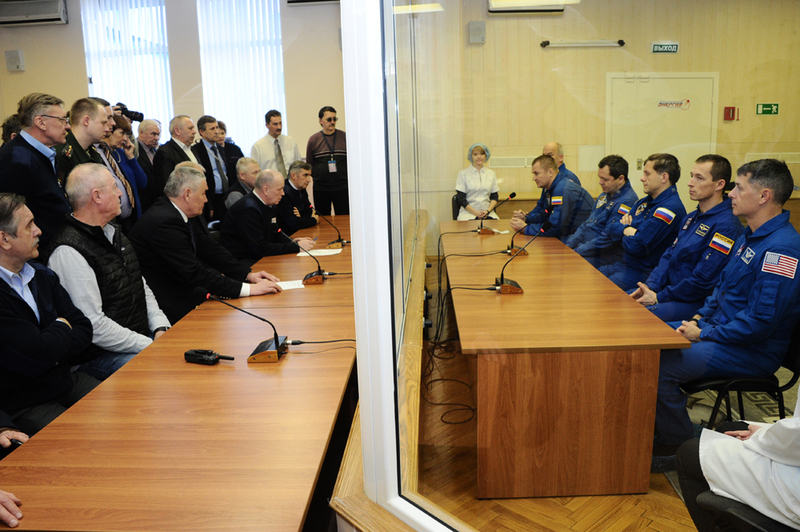 Soyuz commander Alexey Ovchinin and Flight Engineers Oleg Skripochka and Jeff Williams had a packed schedule on Friday, their first full day at the Baikonur Cosmodrome after arriving at the launch site on Thursday. 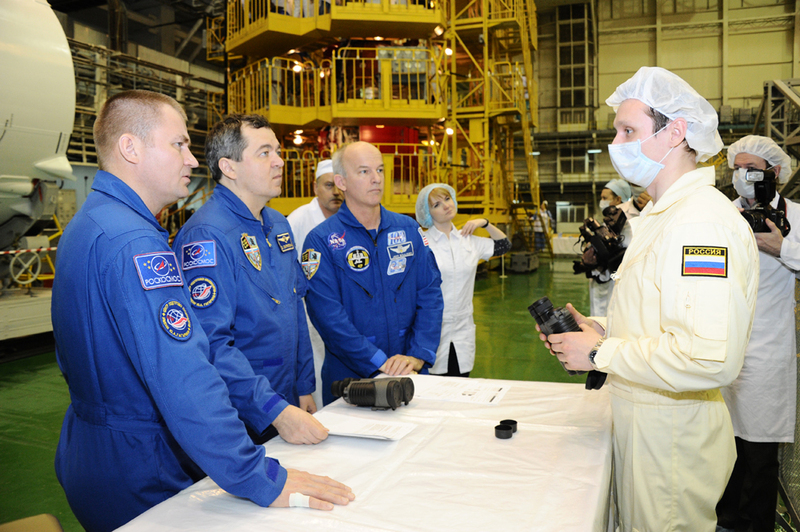 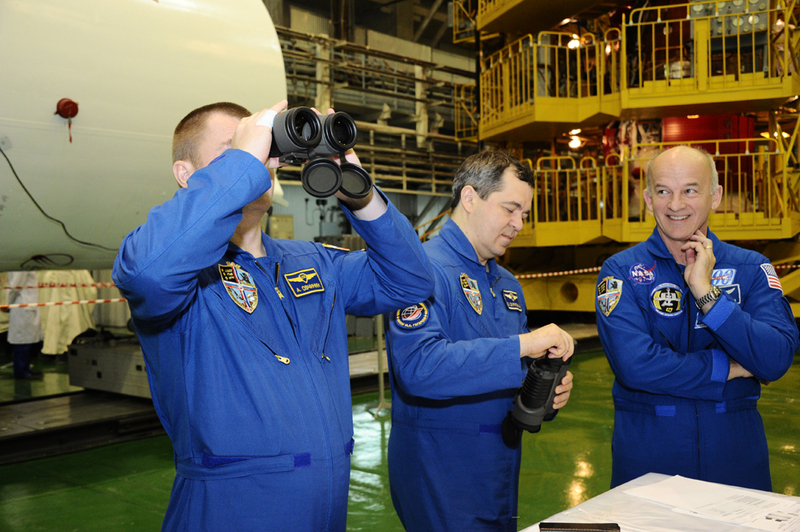 First thing in the morning, they visited their Soyuz at the MIK processing facility to familiarize themselves with the situation on board, for the first time seeing their actual spacecraft. 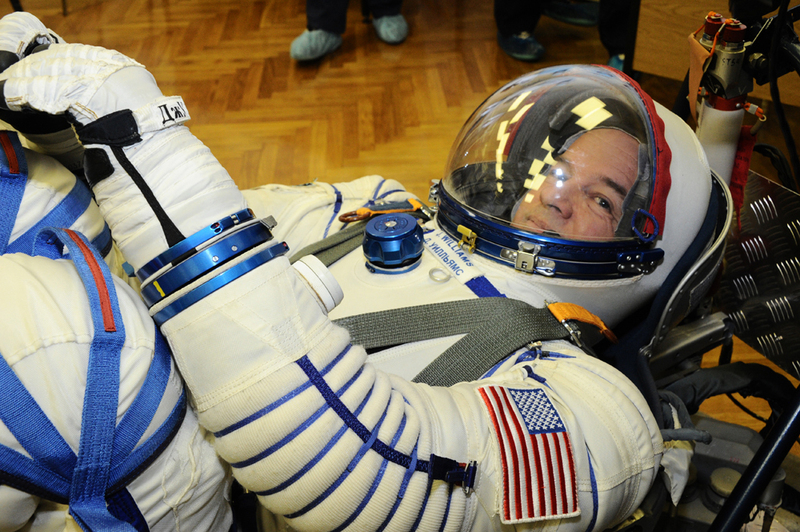 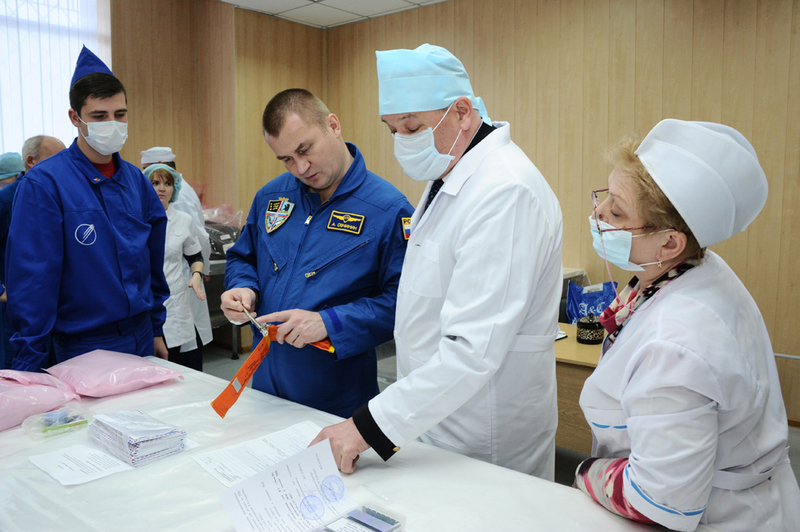 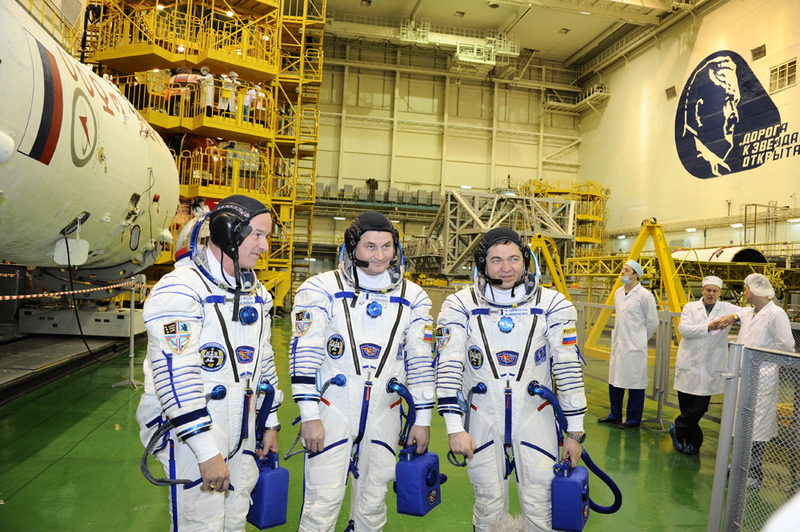 At Site 254, the crew ingressed their Sokol Launch and Entry Suits and went through fit and leak checks to verify the suits will be able to fulfill their function of protecting the crew in the event of a depressurization of the Soyuz on the way up or down. 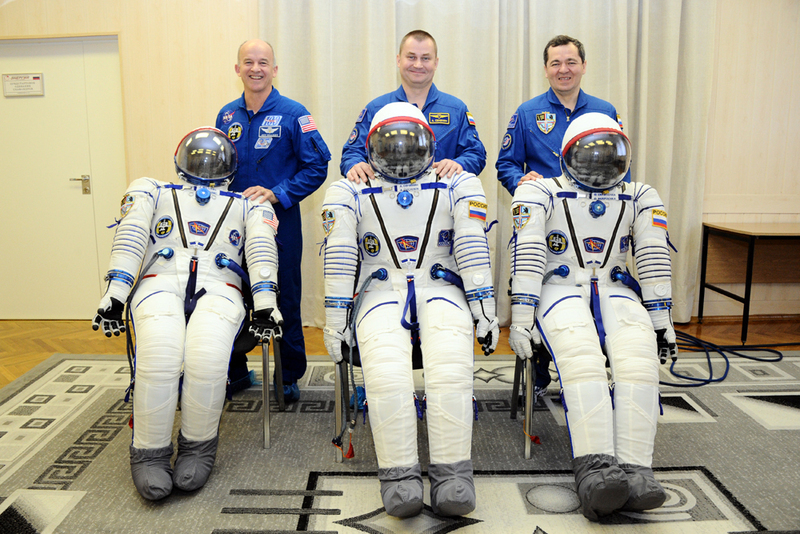 This is the first opportunity for the crew to check their flight suits as different suits are in use during training operations in Star City. 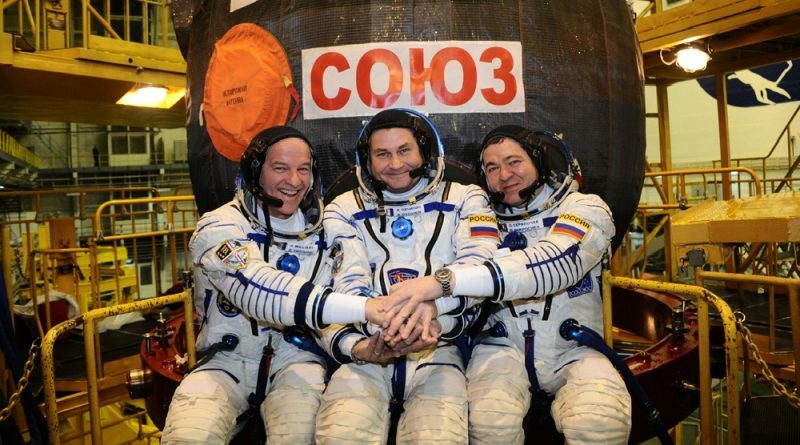 Wearing their Sokol suits, the crew completed a suited-ingress exercise, climbing into the Soyuz through the side hatch and then through the internal hatch down into the Entry Module where Ovchinin took the center seat flanked to his right by Jeff Williams and to his left by Oleg Skripochka. 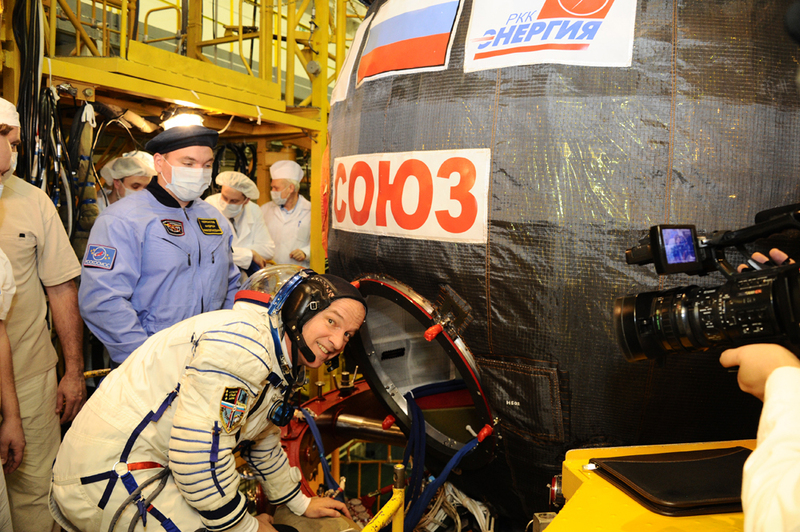 While aboard the vehicle, the crew checked the communications system and completed a simulation. 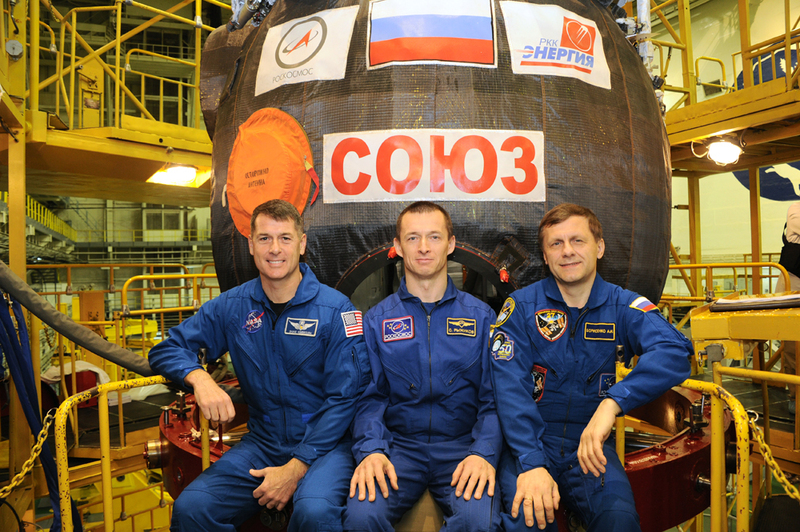 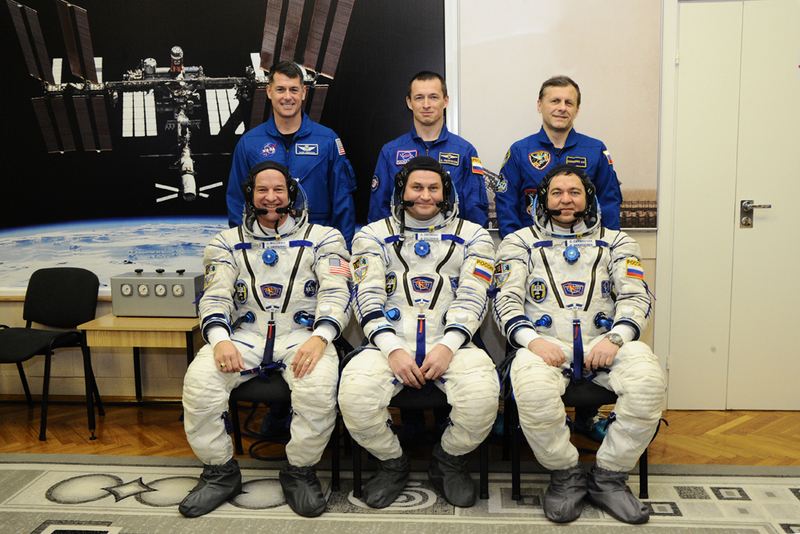 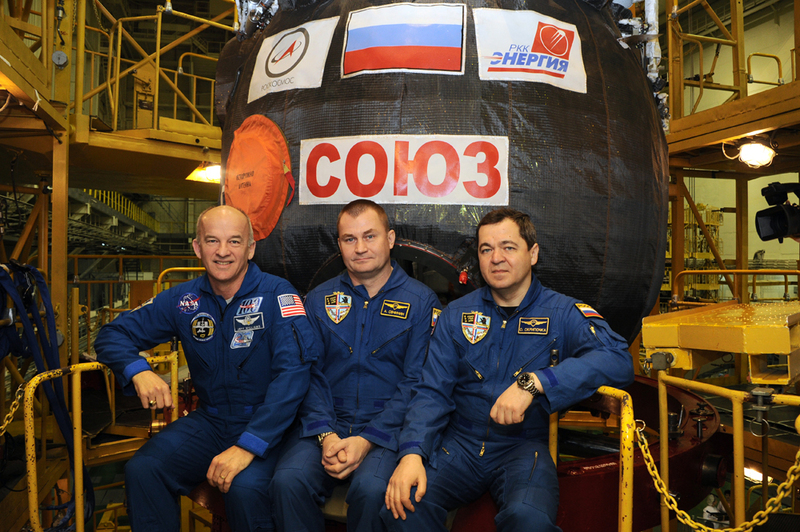 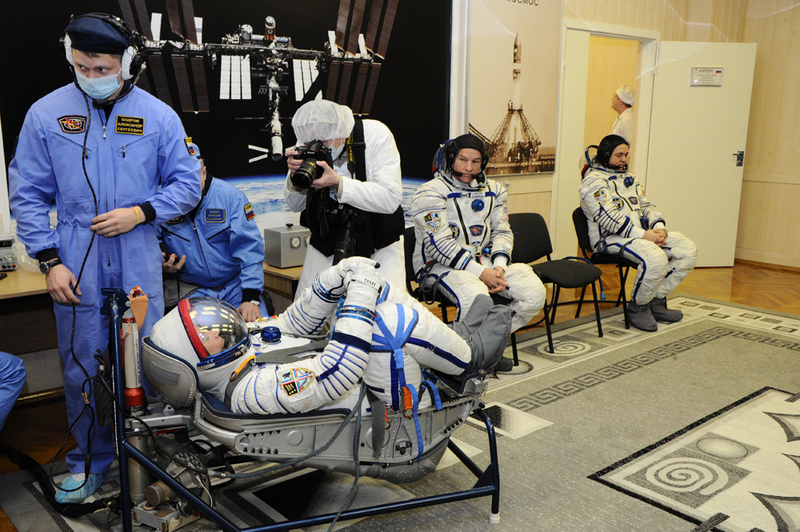 The backup crew members, Sergei Ryzhikov, Andrei Borisenko and Shane Kimbrough shadowed their prime crew members throughout the day, going through the same activities. 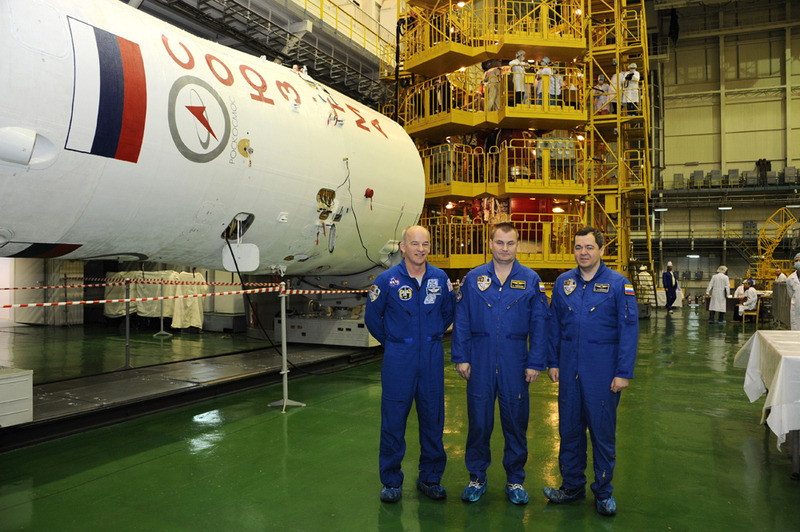 The Technical Commission has approved the Soyuz TMA-20M spacecraft for propellant loading which will start on Saturday when the spacecraft is taken to a separate facility for a multi-day stay to be filled with hypergolic propellants, pressurant gas and environmental control system gases.